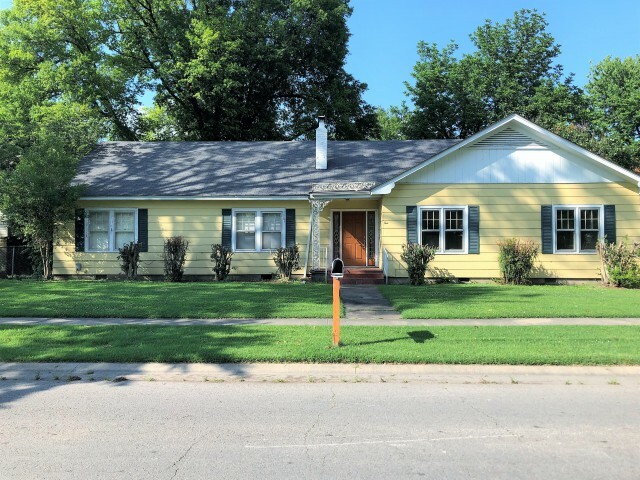 Address: 606 W. 6th St.
New Price! Motivated Seller!! Large family home with 5 Bedrooms, 3 Baths, and almost 3,000 sq. ft. This spacious home would be a great size for a family with kids or extended family living together. Down stairs, besides the living/dining room there is a large paneled den with gas fireplace, 3 bedrooms, 2 baths, updated eat-in kitchen, and huge utility room filled with cabinets, a sink, and indoor grill. Upstairs is complete with the other 2 bedrooms and bath. The attractive exterior includes a wide lot and a half, mature trees, covered patio/carport, and 2 storage closets. You must see to appreciate. Possible owner financing with 10% down. Mls1482. Listing agent Monica Smith.